Are Americans Loving Credit Cards Again? Back in the 1970s, when credit cards were still a novelty there, one British issuer ran an advertising campaign that featured a cartoon bendy card, complete with smiling face. The slogan for the ads was "Your flexible friend." For decades, many on this side of the Atlantic had a similar view of their plastic: it was helpful, easy to get along with and always willing to help out when you were in a tight spot. Then the Great Recession came along, and suddenly a whole lot of Americans discovered that their cards were actually fair-weather friends. In fact, all too often the relationship broke down, and those same cards became scary enemies. That was then and this is now. For most, the effects of the last recession are fading fast, so are we yet ready to let bygones be bygones and make up with our plastic? The answer to that depends upon whom you ask. More Americans (29 percent) are doing without any credit cards at all than at any time this century. If you include those who have no such cards, the number in the average American's wallet is down to 2.6 (from 3.3 in 2002), the lowest ever recorded by Gallup. But that may not be the whole story. When Big 3 credit bureau Equifax published its National Consumer Credit Trends Report in April (see Good time to apply for a credit card), it found a resurgence in the number of new cards issued. Indeed, in January alone, 3.7 million accounts were opened, the highest number for six years, and an 18.6 percent hike on the same month in 2013. It looks like some of us at least are ready to forgive and forget. Is there necessarily a conflict between these two studies? Maybe not. There's always been a significant proportion of the population who've had to get by without cards. A decade ago, that was 21 percent, according to Gallup. So the large majority of those 29 percent of currently cardless Americans are almost certainly people who have never wanted -- or have never been able to qualify for -- plastic. Of the 8 percent remaining, some may have been hurt during the Great Recession, and promised themselves they'd never again have a credit card. Some might even keep that promise, even as the memory of their pain recedes. But others must surely be busy rebuilding their credit scores, and a considerable number are likely to make card applications once they've recovered sufficiently. And that may not be a bad thing. The reason most people fell out with their cards was unmanageable debt. But, as a nation, we've changed. A different Gallup survey, also published in April, opened with the sentence: "The majority of Americans continue to enjoy saving money more than spending it, by 62 percent to 34 percent." The same figures in pre-recession 2006 were 50 percent and 45 percent respectively. We seem to have learned lessons, an assertion borne out by Federal Reserve figures, the latest of which at the time of writing show revolving credit, which is nearly all credit card debt, at $854.2 billion in February. It topped $1 trillion in 2008. Meanwhile, Equifax reports bad debt write offs for cards continuing to decline steeply. Used well, they boost your credit score. FICO says 10 percent of that score relies on your having a healthy mix of installment loans (such as mortgages and auto loans) and credit cards or other "revolving" credit. Without one, you may struggle to rent cars or check into hotels. They provide unique statutory protections against fraudulent transactions and wrongly described or shoddy goods and services. Many (though not all, so check your agreement) give extra consumer protections, such as extended warranties and 90-day cover against theft and accidental damage on qualifying purchases. 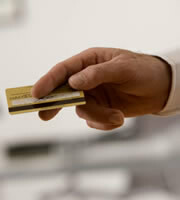 Rewards credit cards can give you truly valuable miles, points or cash back. Each of those can make having a credit card worthwhile, even if you never carry forward a single balance. Together, they make a compelling case for once again palling up with a piece of plastic. 0 Responses to "Are Americans relying less on credit cards -- or more?"